The Trustees meet four times a year to discuss our plans and activities for the future, and a general meeting is held each autumn, to which members are always very warmly invited. New Trustees are sometimes needed, and anyone interested in applying is invited to read our Trustee prospectus. 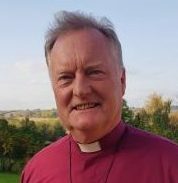 Bishop John, the Bishop of Warwick since 2005, became President of APR in 2017. He is an experienced retreat leader and has a keen interest in the Eastern Spiritual Tradition. Bishop John attends trustees’ meetings when possible, and works closely with the Chair on discerning the strategic direction of the charity. You can read more about Bishop John’s ministry on the Diocese of Coventry’s website. Barry was elected as a trustee in November 2012 and became APR’s Chair in October 2015. He also leads the Trustees’ sub committee in organising the APR’s biennial Spirituality Advisers’ Conference. He is a retired priest living near Folkestone where he helps parishes in times of need. He conducts Quiet Days and Retreats, as well as leading a supervision group for spiritual directors in the Diocese of Canterbury. 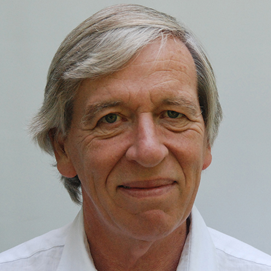 He was the first Spirituality Adviser in the Diocese of Guildford from 1992-2001. In January 2018, Barry was also elected Chair of the Retreat Association, something he describes as ‘a great privilege and an exciting opportunity’. Barry’s particular interests are photography and reflective writing and he has produced three books of photographic reflections. Susan has served as APR Treasurer since 2011. 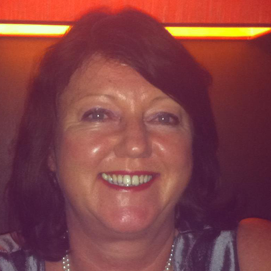 She has a professional background in accounting and administration roles within the Royal Air Force (11 years) and 27 years’ experience of setting up and running the National IT Learning Centre Company. She is a member of the Mother’s Union, held various roles and currently Chair of Relate Lincolnshire. She lives near Newark with her two grown-up children. 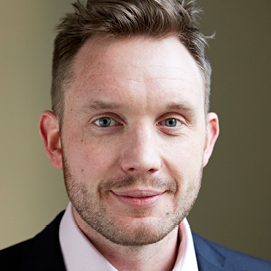 Ben joined the APR as a trustee in 2011, bringing experience in marketing and PR from his time working in the Archbishops’ Council Communications Office at Church House, Westminster, and the UK Supreme Court. He currently works for Goldsmiths, University of London in a senior communications role. Ben is particularly keen on communicating the benefits of retreat to younger age groups. 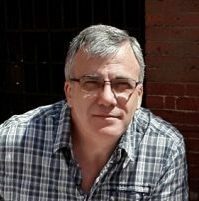 Born in Scotland, and then spending the vast majority of my life in the North East of England, for the last 5 1/2 years I have found myself, along with my wife Gill, living in the beautiful village of Pleshey in Essex, where I am fortunate to be the General Manager of the Chelmsford Diocesan House of Retreat. Having worked for 24 years within the oil industry, this move to Pleshey has been both significant and life-changing, but one that I haven’t regretted for a moment. We have two grown-up children, and one adorable granddaughter, who we like to see as often as we can. I particularly enjoy music of many styles, whether that be playing, listening or leading. Golf is another interest, but sadly I don’t get out much at all for that! I am keen to encourage those who might never have considered a retreat to take that step and ‘give it a go’, taking the opportunity to experience the healing impact of setting ‘specific’ time aside to be with God. Prior to being a parish priest, Carol worked as a PA in six English counties, the Middle East and London where her role at The Mission to Seafarers’ International Headquarters led to the fruition of her calling. 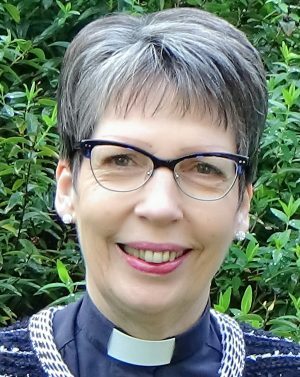 Carol has served in Epping, Chelmsford and since 2017 in Herne Bay where she is Vicar of Herne St Martin’s with St Peter’s Greenhill. These roles plus training as a Spiritual Director, heading up the Chelmsford Diocesan Workplace Chaplaincy Team, serving as Chaplain to Essex County Council and as an Honorary Canon of Chelmsford Cathedral broadened her understanding and experience of God’s mission to all people in a variety of different contexts. During a sabbatical in 2015, Carol’s experience was further broadened when she served as Chaplain on board a Fred Olsen Cruise ship for 30 consecutive days and considered to what extent community is formed, both above and below deck among passengers and crew. Alison was invited to become a trustee in 2017. 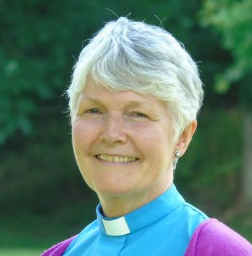 After seventeen years as an incumbent in two London parishes, Alison became Warden of Launde Abbey Retreat House in Leicestershire where she concentrated on the giving of retreats and spiritual direction, and co-created and led the spiritual direction course for the Dioceses of Leicester and Peterborough. 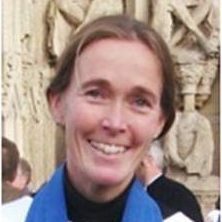 Her present role is Advisor and Advocate for Spiritual Direction, the “outward face” of the London Centre for Spiritual Direction, promoting prayer and spiritual direction in the Diocese of London. She also continues to teach and facilitate retreats. Alison is married and has two grown up sons. She enjoys art, theatre, poetry, music and walking and is committed to the idea of lifelong learning and conversion. Demelza was appointed as APR Administrator in May 2017. She is a licensed Reader and Spiritual Director in the Diocese of Exeter, and used to manage Cygnet Cottage (a small retreat house in East Devon). With a background in both academic science and cathedral verging, as well as being a founder member of the Friends of St Levan, she brings a rich variety of experiences to the role. In her spare time, she enjoys listening to (and playing) all types of music, foraging for fruits and making jams and chutneys, attempting to grow things on her allotment, and rowing her little rowing boat in the Exe estuary with her children!